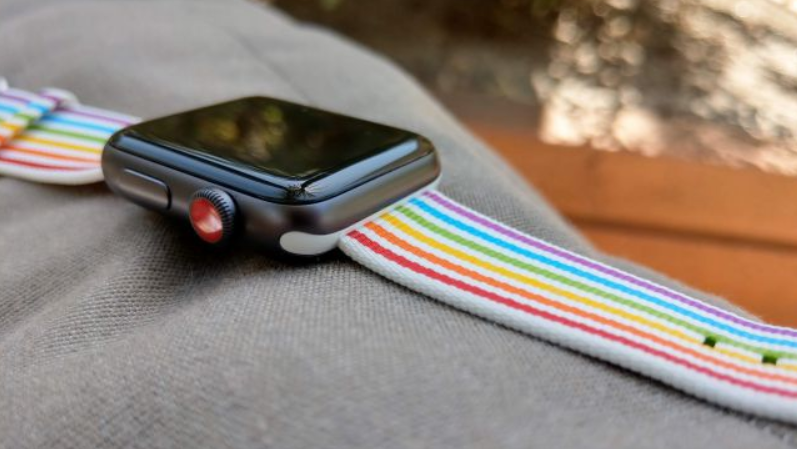 Well, for the more OCD-suffering of us, the fact that the strap is white and most Watches aren’t is annoying – unless you’ve got the ceramic (and very expensive version, that is). 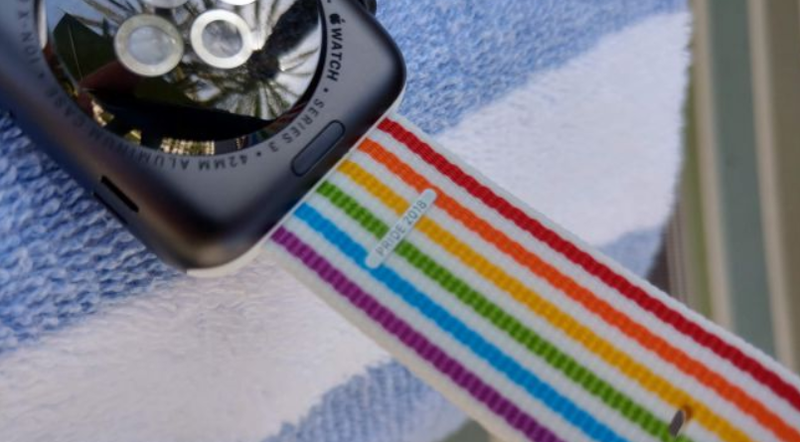 The Nylon strap has a Pride 2018 label on the inside too, just in case someone finds your Watch without you wearing it and wonders what cause it’s supporting – a common question for a thief. 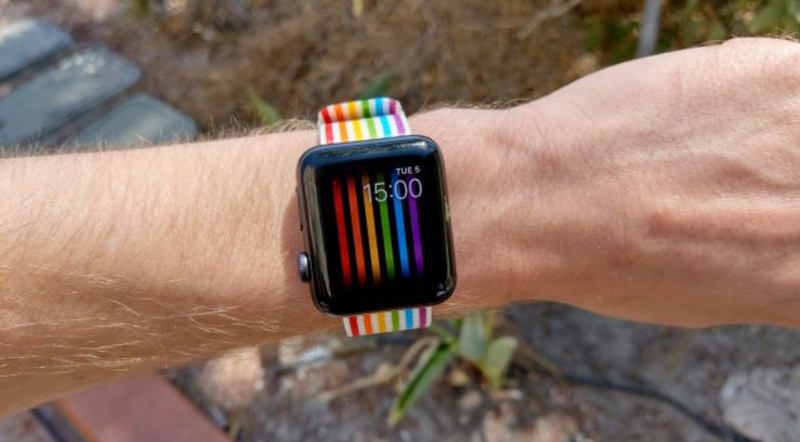 The Watch face itself is pretty sparse, with only one complication you can change around – it’s basically just the time and six colored stripes that wiggle a litlte when raising the wrist.